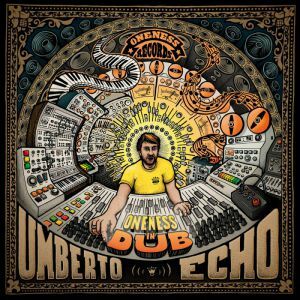 Umberto Echo aka Philipp Winter is a Munich based Record Producer, Sound Engineer and Dub Activist. He has released 4 albums on Enja Records and Echo Beach under his name and contributet to over 150 albums, engineering and/or producing in a wide range of genres since he started his studio career in 1999. His credits include Dub Inc., Jamaram, Sara Lugo, Jojo Mayer and remixes for artists such as Abdullah Ibrahim, Seeed, Gentleman, Steelpulse feat. Damian Marley and Sly & Robbie. Umberto also mixed over 1500 live concerts since 1996 and is a live recording expert. feat. Morgan Heritage, Sara Lugo & Jah9, Iba Mahr, Luciano, Dub Inc. and many more.